WITS » Don’t Miss the Story Pirates this Weekend at Aurora Picture Show! Don’t Miss the Story Pirates this Weekend at Aurora Picture Show! 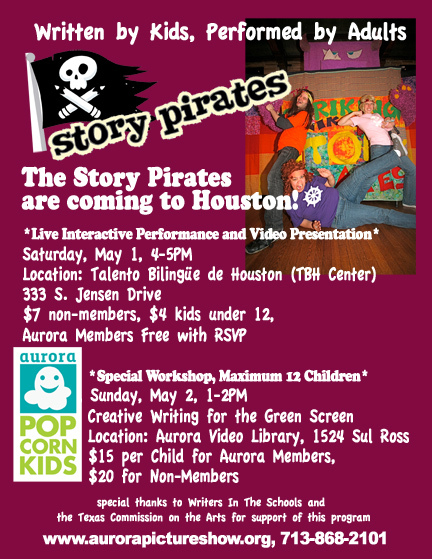 The Aurora Picture Show hosts the Story Pirates this weekend with a live interactive performance and video presentation on May 1st and a special creative writing workshop May 2nd. Story Pirates lets kids see their own words come to life on stage. To RSVP and purchase tickets, visit their website.